China has responded to Indonesia’s question about alleged human rights abuse against Uighur Muslims in Xinjiang, saying that Beijing guaranteed the religious freedom of all of its citizens, including the Uighurs. A Chinese Embassy spokesman in Jakarta said in a statement on Thursday that “China is a country with multiple ethnic groups and religions". “As prescribed in the Constitution, all Chinese citizens enjoy the freedom of religious belief,” the statement said. The statement said that the Chinese government was facing the threat of religious extremism in Xinjiang, which is home to about 14 million Muslims. Some Xinjiang residents, it said, had struggled to find jobs because of their poor command of the nation’s official language and lack of skills. Previously, the Foreign Ministry said it had summoned Chinese Ambassador to Indonesia Xiao Qian on Monday to convey the concerns of Indonesian Muslims about the plight of Uighur Muslims in Xinjiang. “The Foreign Ministry stressed that in accordance with the universal declaration of human rights, religious freedom and belief are human rights and it is the responsibility of all countries to respect it,” ministry spokesperson Arrmanatha Nasir told reporters on the sidelines of the Diplofest event on Wednesday evening. He said Xiao Qian conveyed China’s commitment to the protection of human rights. In addition, the ambassador said it was very important for the Indonesian public to know the condition of the Uighurs in Xinjiang, an autonomous region. The summons of the Chinese ambassador came shortly after Indonesian Islamic groups demanded an explanation on the situation in Xinjiang. 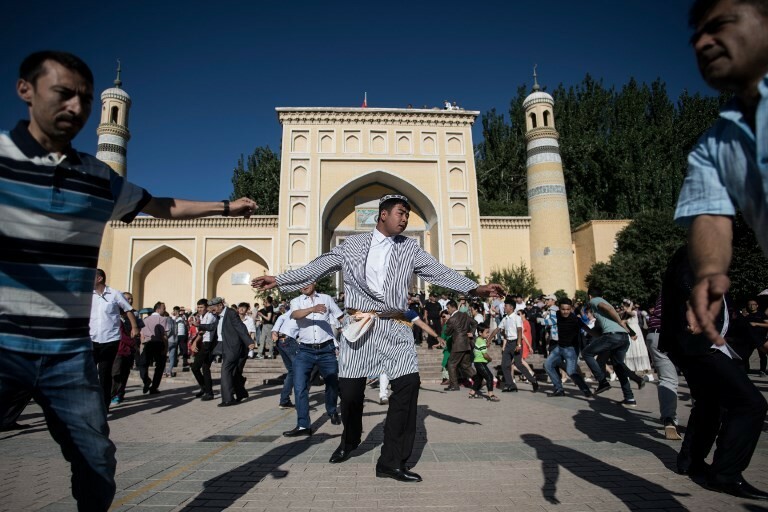 Western countries have accused China of persecuting Uighurs through its “re-education centers”, which Beijing insisted were actually vocational and training centers that combat religious extremism. The situation in Xinjiang was highlighted during China’s third United Nations Human Rights Council’s universal periodic review last month. Human Rights Watch says Uighur people in particular are subject to intense surveillance and are made to give DNA and biometric samples. Muhammadiyah chairman Haedar Nashir said if the reports were true, then China had violated universal human rights and his organization was ready to mobilize humanitarian and material support for peace in Xinjiang, especially for the Uighur community. ”The Chinese government’s inaction is feared to hurt diplomatic relations between Indonesia and China, and the good relations our people have had for centuries,” Haedar said as quoted by Antara on Wednesday. Social media messages calling on Indonesians to take to the streets to defend Uighurs have been circulating online in the last few days. On Monday, the Indonesian Ulema Council (MUI) advisory council leader and former chairman of Muhammadiyah, Din Syamsuddin, said the alleged crackdown was an outright violation of basic human rights and demanded that the Indonesian government take firm action to advocate for the Uighur people. Responding to the MUI’s call, Vice President Jusuf Kalla said Indonesia would not interfere in China’s handling of Uighur Muslims. “Of course we reject or [want to] prevent any human rights violations. However, we don’t want to intervene in the domestic affairs of another country,” Kalla told journalists on Monday. The Chinese Embassy’s spokesman said that, “China and Indonesia have always supported each other on issues concerning respective major interests. “I believe after knowing the real situation in Xinjiang, our Indonesian friends would better understand and support the Chinese government's efforts to combat terrorism and extremism and to safeguard stability and security in Xinjiang,” he said.